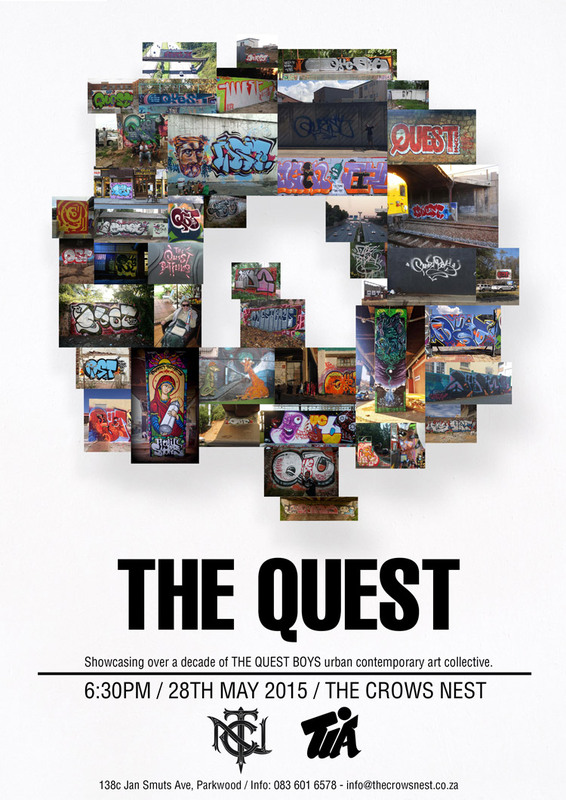 The QUEST BOYS was established in Durban in 2004 by a small crew of aspiring graffiti kids in love with art and hip hop. For five years the crew spread their colourful, funky flavour across the tropical port city, and established themselves as one of the top crews in town. 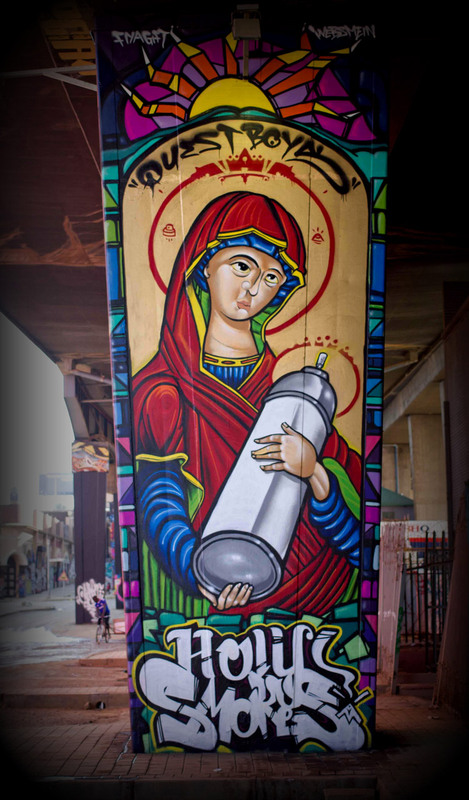 Their message was clear – graffiti is not only a ‘gangster thang’… it can be uplifting, vibrant, fun, socially relevant and collaborative too. 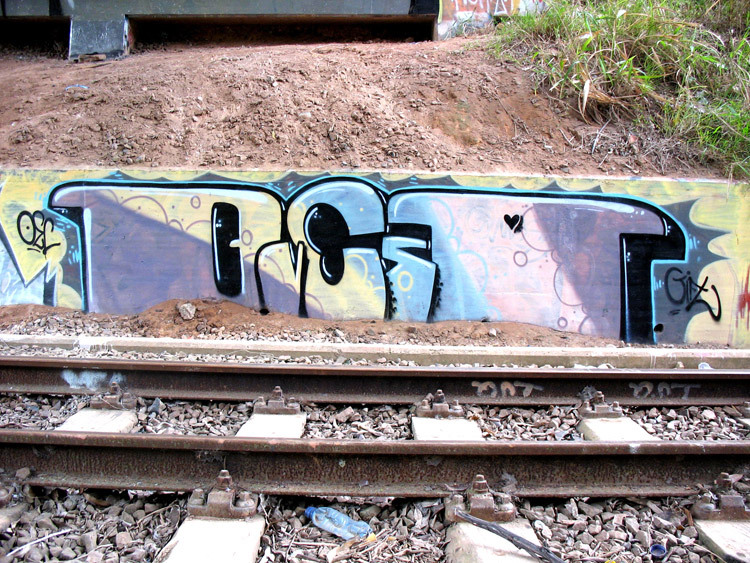 The original members gradually infiltrated other cities, spreading the message of funk and growing the crew. 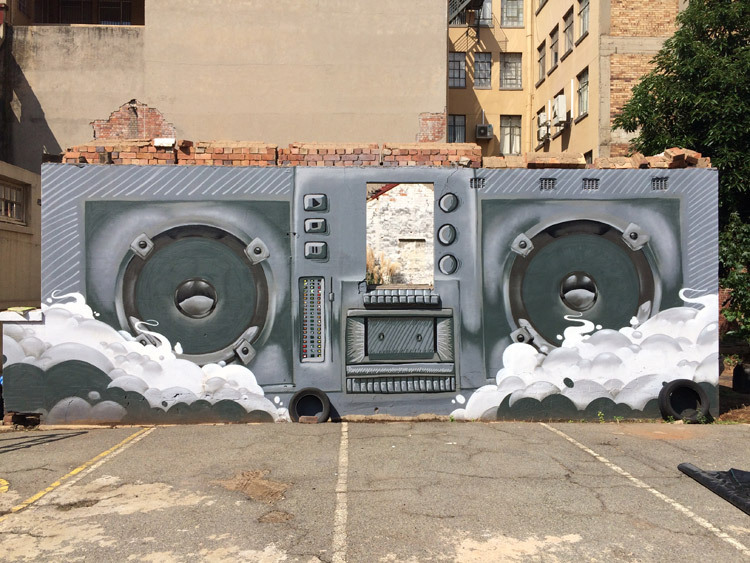 Crucially, Johannesburg became the new Quest Boys stronghold. 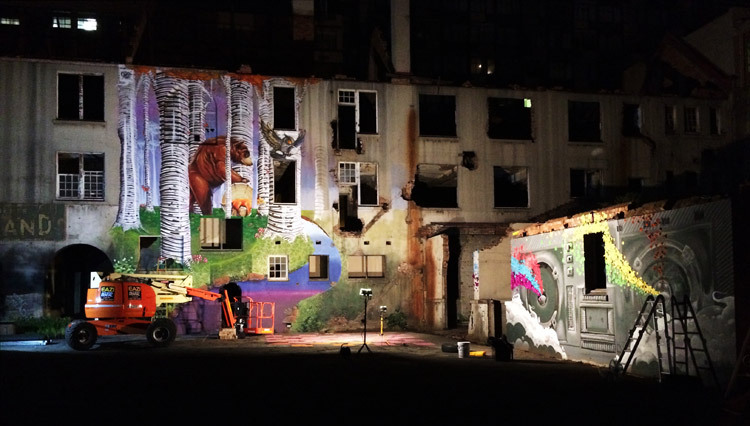 With the graffiti aesthetic as a foundation, many of the members have branched into other artistic disciplines and are making waves in their respective fields. QUEST members are currently working as tattoo artists, designers, photo-journalists, fine artists, filmmakers and street artists… creating what is now an eclectic and diverse urban art collective. 2015 marks a decade of QUEST BOYS, and today the crew is made up of 14 artists, operating in Durban, Johannesburg, Cape Town and London. At the debut show, audiences can expect an installation comprised of a collection of paintings, drawings, photographs and short films that best represent the adventures of the QUEST BOYS. They will also be launching a zine, QSTRONG, showcasing a variety of artworks that have emerged straight outa the underground. 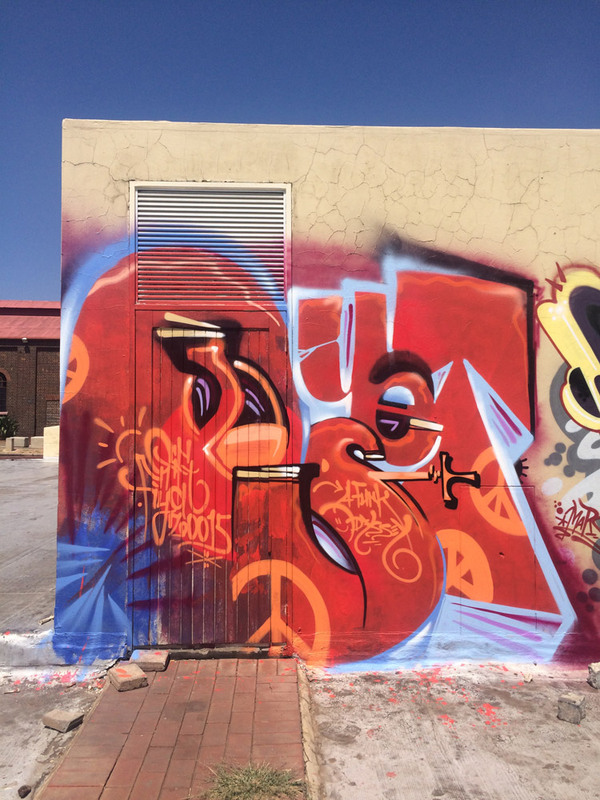 The show aims to bridge the gap between the formalities of the fine art world and the raw, controversial nature of the graffiti movement, as well as showcase one of the most diverse groups of artists in Mzansi. *THE QUEST is opening at The Crow’s Nest in Jo’burg on 28 May, at 6pm. *Join the event on Facebook. Nice! 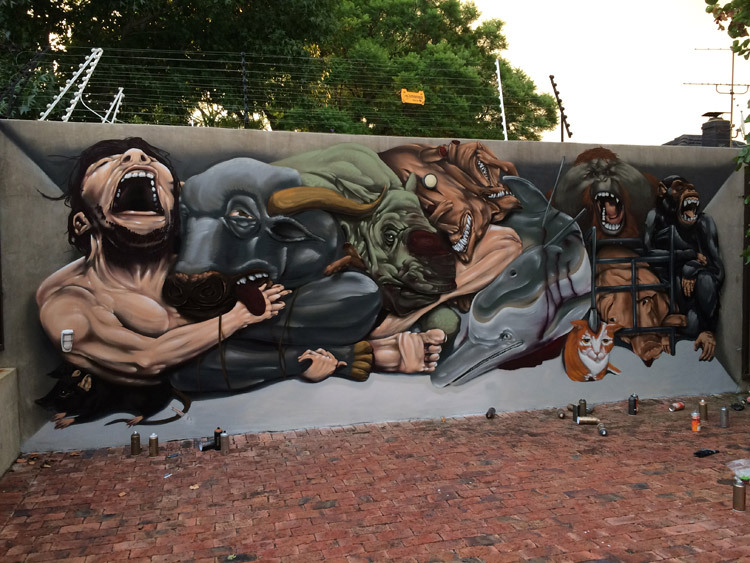 it would be sick to see this show in Durban, specially as this is where they are from.